It's finally starting to feel like spring and that means full force wedding mode for us summer brides. There are so many important events leading up to the big day that require amazing outfits. I know brides-to-be traditionally like to wear all white, however, you guys know I like to mix things up. I put together three alternative bridal looks that are sure to make you stand out at your shower, bachelorette or any other events! 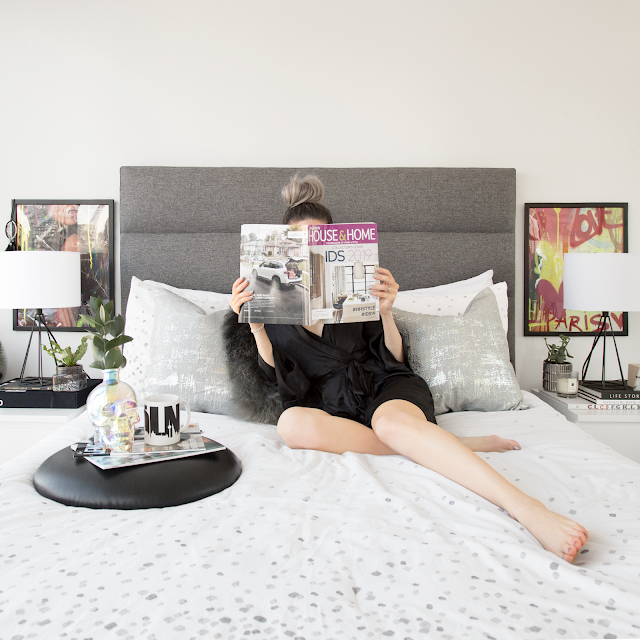 Having a good night sleep is SO important for productivity and health. After living in Europe, we know the importance of a good mattress [we used to put two mattress toppers on because the beds there are SO hard - and small!]. We had a comfortable mattress prior to our Endy, however, David had a tendency to get up in the night and the mattress would shift so much that it would wake me up. I am the type of girl who NEEDS her beauty sleep, so it didn't take long for me to start seeking alternative options. When I came across Endy, I knew it was worth a try. With their 100-night guarantee you have the option to return the mattress if you aren't satisfied, no questions asked... and they will actually come back and pick it up from your home. We ordered the Endy Queen mattress, two Endy pillows and the Endy bedsheetswhich includes two pillow cases, a flat sheet and fitted sheet. You guys know I'm all about incorporating your own style into every aspect of your life... so why not have tech accessories that go with your personal style ? I have been designing custom cases with CaseApp for a couple of years and am super happy with the quality of the print and the case itself. 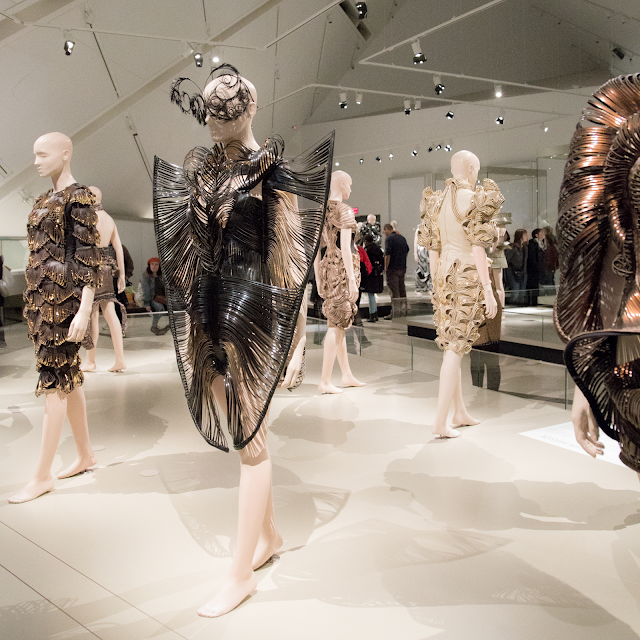 I recently visited the Iris Van Herpen and Philip Beesley exhibit at The ROM in Toronto, Canada and was inspired by the two visionaries who push boundaries in design. The pieces from IVH's Aeriform collection [showcase during Paris Couture Week] were made of innovative materials creating intricate, avant gard art. One of my highlights was the interactive installation. The construction, materials and overall concept was quite interesting. I spent a good hour taking in all of the details. I was really drawn to the textures and how the architecture in The ROM complimented the art. I'm headed to Las Vegas, Nevada next week for one of my besties 30th birthday celebrations. I visit Vegas annually, however, I have never experienced the city with just the girls... I'm guessing it will be a little different from my previous experiences ;). I can't wait to share my list of places to explore with you. In the meantime, I put together a couple of looks that are perfect to rock from Day to Dinner in Las Vegas. When I found this GirlMerry.com black mesh dress I instantly needed it in my life. As you guys know, I love sheer fabrics and interesting textures and this piece incorporates both details. I have several sheer LBD's, but what sets this one apart is the sleeve length and black beading. There are small sphereical beads in various sizes sewn onto the front that acts as jewelry, so you don't even have to accessorize. We are going to be seeing a lot of similar of pearl shaped beading on clothing, denim and accessories this season. I have always struggled with blemishes and acne prone skin. At age 12 I started going for treatments and tried various medications to help prevent the scarring of my sensitive skin. Microdermabrasion and glycolic peels have made a great difference with minimal discomfort. Once I got my hormones and skin issues under control, it became all about maintenance. I have a fairly strict regime, and definitely notice if I skip one of the following; I drink 2-3 litres of water per day, minimum of 8 hours of sleep, using high quality skincare and mineral makeup and going for a facial or Microdermabrasion once per month. I love how clean and smooth my skin looks and feels after every session of Microdermabrasion. My makeup goes on flawlessly and the tone and texture of my skin is much more balanced. 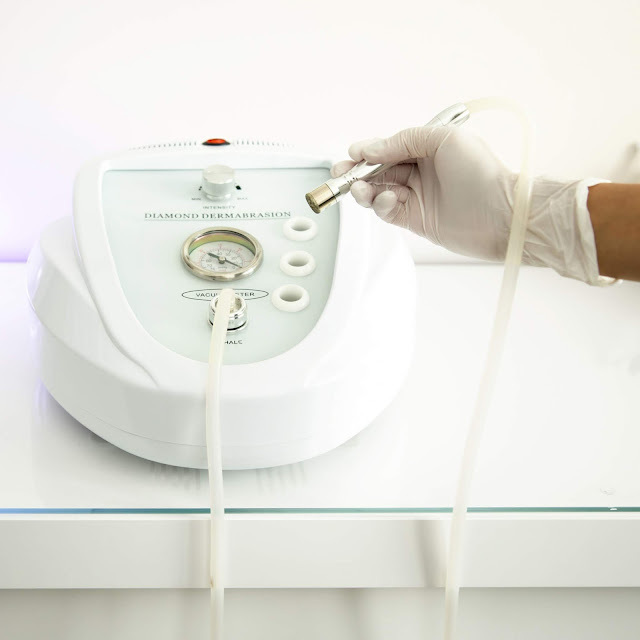 I partnered with Lizz Pereira-Browny, a Medical Aesthetician and owner ofInfused Beauty Bar to share my latest Microdermabrasion Facial and some Q & A's about skincare... Check it out below! 2] TheShortall - Overalls are one of the hottest trends this season. They are so easy to dress up or down and automatically give off a festival vibe. Shortall's [shorts instead of pants] are a great option for warm summer days to give your legs a little sun and cool breeze. This black stretch denim is easy to dress up or down and goes with just about any top. With all of the styling options, you could definitely get away with wearing these multiple days. As much as I love classic styles, I tend to gravitate towards pieces that have unique twist. I have put together a few looks incorporating some of my favourite S/S pieces from the cool U.K. based online retailer - WearAll. Of course I styled the black and white versions of these pieces, however, WearAll typically has multiple colour ways.